It has been forever since I did a Pin-tester post but I decided it was time to bring it back since I have been doing a whole lotta pinning and not a lot of doing or making as of recently. I decided I would start off the series with food because to be honest I have been sucking in the dinner making department. Nothing sounds exciting and the creative/imaginative part of my brain seems to be on vacation. So I searched my main food board and found something that sounded perfect for a hot (almost) summer night. In a small bowl mix together the ingredients for the dressing and set aside. Dice the cucumbers, bell pepper and onion and add to a large bowl. Add in the garbanzo beans and the feta cheese. Serve and eat immediately (the leftovers were soggy so this is best fresh). Final verdict: Win win win. I did not use tomatoes like the original recipe called for since our garden is not ready yet and all the tomatoes at my local organic market were from Mexico, so I passed on those. Ian and I loved this. 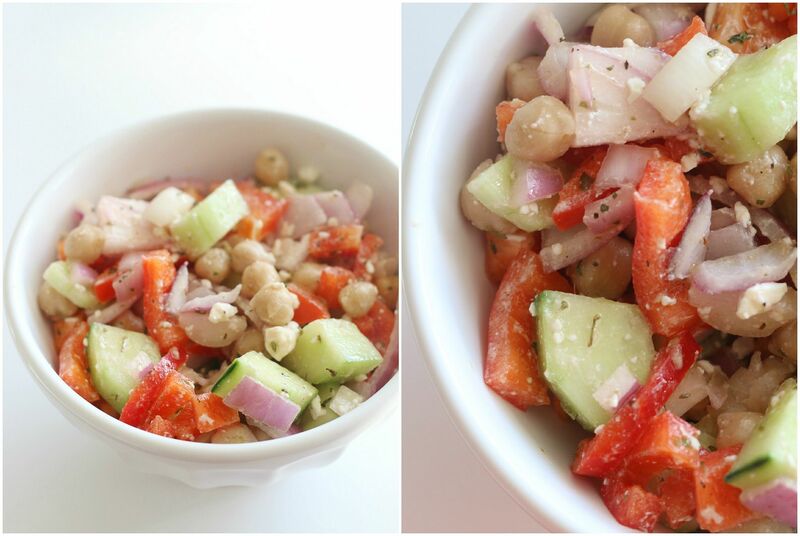 The garbanzo beans added a fun element that I have never used before in a salad. The kids were not fans but that wasn't too surprising considering some of the raw ingredients. I will be making this again for sure and I think it's the perfect dish to bring to a summer BBQ as well. I don't like tomatoes, so this looks amazing to me! Thank you!! This looks great and I love this series! What's wrong with tomatoes from Mexico? Is it simply a "buy local" issue? 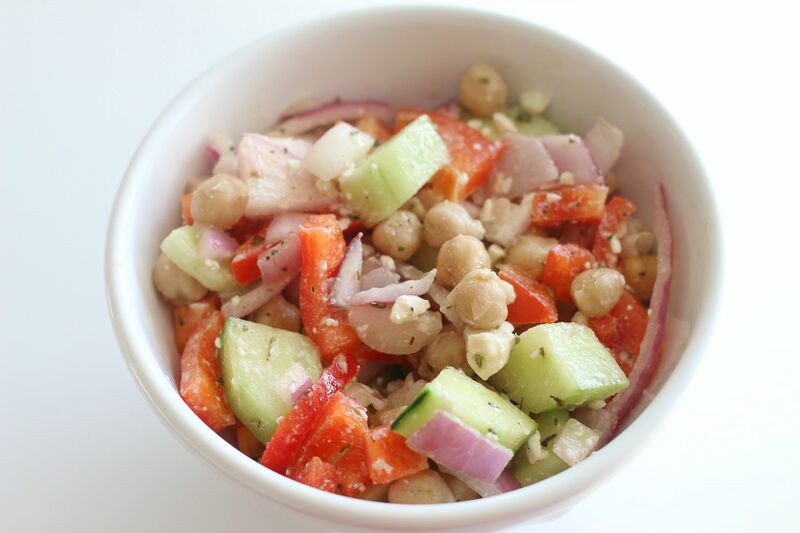 I make a greek-inspired salad with farro or barley (for that extra fiber/protein), or pasta, and usually add kalamata olives - I'm trying garbanzos next time. YUM - perfect light and fresh summer fare. This looks sooo good! Can't wait to try it. Thanks for sharing Lindsay!